What does CSA mean to you? The Comprehensive Safety Analysis (CSA) is the standard in the Motor Carrier Industry. 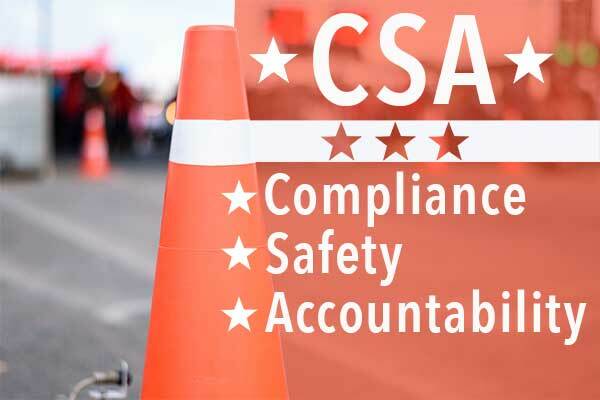 CSA replaces current and formerly used SafeStat with a new Safety Measurement System (SMS) that measures the previous two years of roadside violations and crash data. With SMS, every inspection counts, not just out-of-service violations, and both driver and carrier safety performance are monitored. Within the CSA Operational Model, the Safety Measurement System (SMS) quantifies the on-road safety performance of carriers and drivers to identify those carriers and drivers for interventions, to determine the specific safety related issues exhibited by a carrier or driver, and to monitor whether safety problems are improving or getting worse. 6. Assesses both the carriers and individual drivers – a two system approach. TSCI offers CSA training and education to both carriers and drivers alike. TSCI can structure a safety program based on the wants and needs of your company. TSCI would like to thank the FMSCA for some of the information provided on this page.